Slated to begin April 5th, ILSC-New Delhi is providing FREE ENGLISH EDUCATION to a group of 6 underpriviledged Indian girls. As India sits poised to surpass China in population and economic development in the next 15 – 20 years, there is no doubt that the country is transforming in ways never thought possible. However, despite this massive socio-economic shift happening for millions of people, 42% of the population still lives below the U.N. international poverty line. This is the silent multitude of millions that are getting left behind in country’s march towards progress and modernity. In India, these poor are often referred to as ‘the backwards people’ and most of them live on less than 2$ a day. 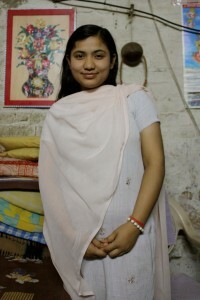 As India is still an ultra-conservative, patriarchal and very religious society, young girls are more acutely affected by this gap between the haves and have-nots, and without a decent education they often end up begging on the streets, doing menial and backbreaking work, or working as prostitutes in the big cities’ brothels. “Learn to Earn” is a non-profit program established by the International Language Schools of Canada (ILSC), New Delhi branch school. Its aim is to provide free English education and job skills training to these young disadvantaged Indian girls in an effort at improving their lot in life. As English is one of the official languages in India, anybody hoping to get ahead in life needs to have a basic knowledge of it in order to access the much prized and growing service sector and hospitality jobs. At the end of this program, ILSC will help these girls with job interviews with local businesses in the hopes of them gaining better paid employment in safer conditions. Stay tuned to ILSC’s blog for updates from the girls and the program. To see the introduction video to this program, click here.